You may have encountered such question on Yahoo Answers or other Q&A sites. Since Instagram has been unequivocally well-known among users around the world, anyone who wants to share something of his everyday life may upload some photos, videos or any captured moments they thought interesting or meaningful for share and exposure. However, full size video for Instagram may not always work and sometimes you need resize so as to be viewed normally. And here comes the way on how to resize video for Instagram story for a best size. Instagram is a social media service owned by Facebook for sharing photos and videos, allowing you to share all the moments of your day. Anyway, all the photos and videos you shared on Instagram will appear together in a slideshow format like a story. And these stories are with a lifespan of 24 hours – after that, they will disappear. And you cannot find them on your profile or in the feed. Most popular way to prevent Stories from being cleared off is to share them. That’s the most attracting point of Instagram, getting followers and following others to share meaningful moments with each other. You can create your story and share those funny and precious memories to your followers by taking photos or recording videos (3 to 15 seconds) right away or uploading some of your saved ones, and in this case, you should make sure videos for Instagram size is available before uploading. Instagram now allows users to upload the video clips in the media library of your Smartphone after video editing for Instagram. 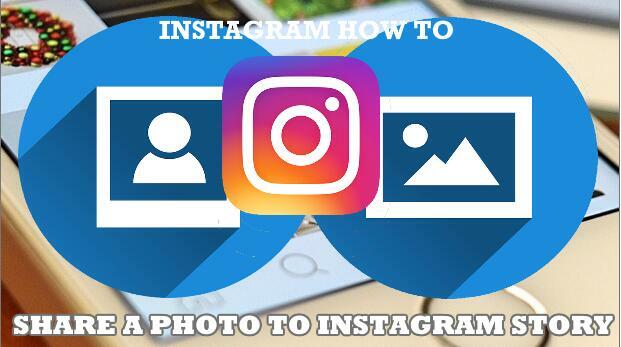 Since Instagram is mainly designed for iOS and Android Smartphone users and it even only supports the video recorded by phone camera, you should make sure that the video can be played on the phone. Otherwise, you are required to convert the video to a suitable one and edit videos for Instagram beforehand. Click on “Add Video” icon to browse and choose video files you prefer to upload to Instagram for importing. 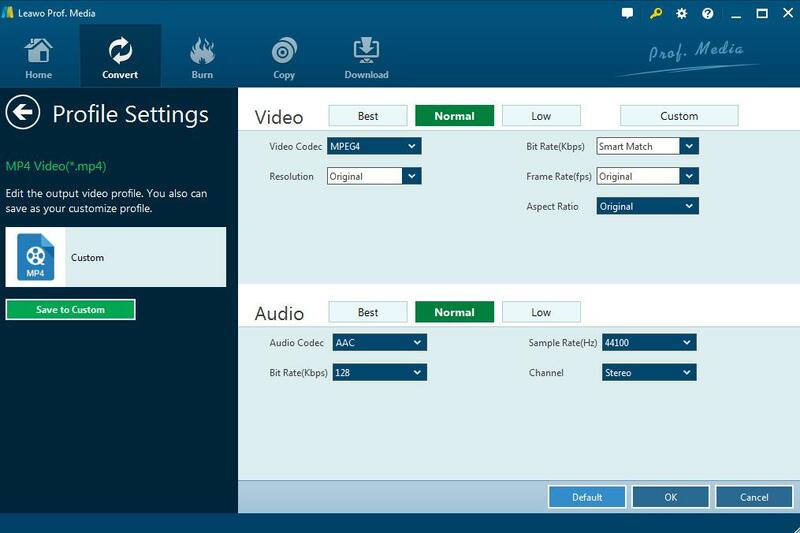 Or directly drag and drop the video file to the converter. Note: If you prefer to combine several short video clips together, you can click on “Merge all files into one” to make the imported video clips into a bigger one file. 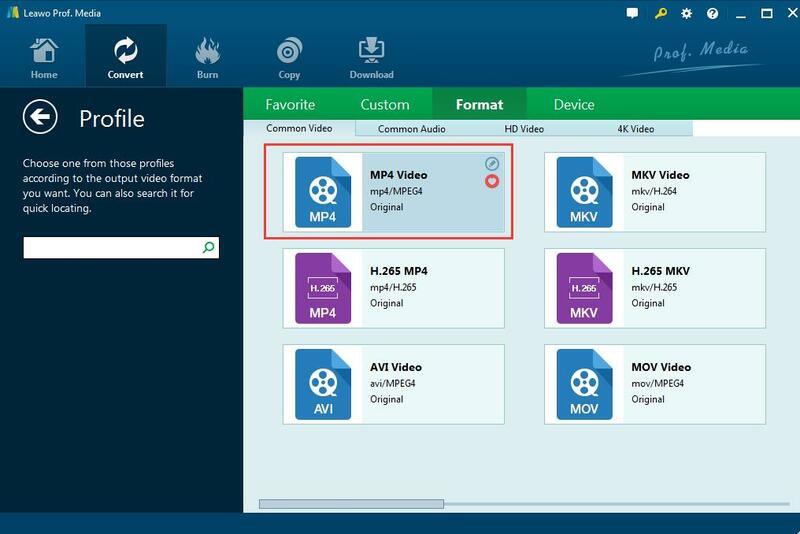 Click the drop-down box right before the green Convert button, and then click on “Change” to enter a “Profile” panel where you could select “MP4 video” as the output format, which is the most common video format that is recognized for portable devices and media players. Go back to the drop-down box and click “Edit” this time to enter the “Profile Settings” interface, then you can set video codec, resolution, bit rate, aspect ratio and so on. 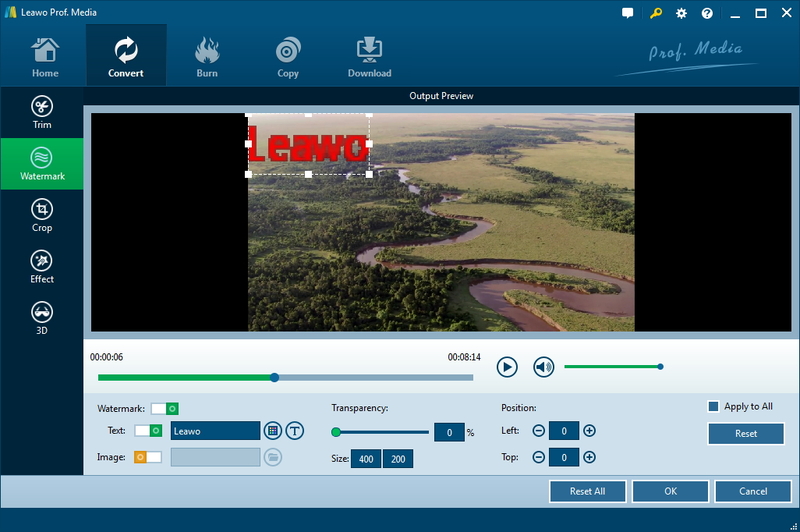 Click “OK” to save the settings and return to the video list, now click the green “Convert” button to pop up a sidebar where you are able to set the output path for saving the converted video. Now you can upload full size video for Instagram in the converted MP4 format. For another thing, make sure that the video is shorter than 15 minutes, otherwise, you should resize video for Instagram by cutting the second important part of the video. And you can follow the guide on how to edit videos for Instagram with Leawo Video converter as well. 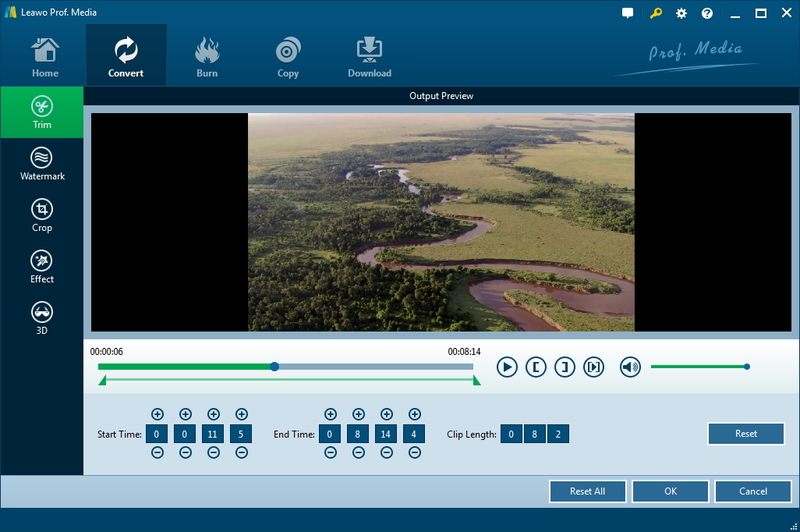 Directly drag the slide bar to choose the segment you need, or manually set the “Start Time” and “End Time” box to trim accurate length for a video clip. Remember to click “OK” to confirm it. If needed, switch to “Watermark” section and enable Watermark button, then you are able to add a distinguishable watermark for your video to figure out your own feature. Click “Crop” on the left panel, then you can directly drag the frame to crop video to get your video size for Instagram. Click “Effect” next, then the special video effect including “Brightness”, “Contrast”, “Saturation” and “Volume Zoom(%)” can be adjusted as you need. 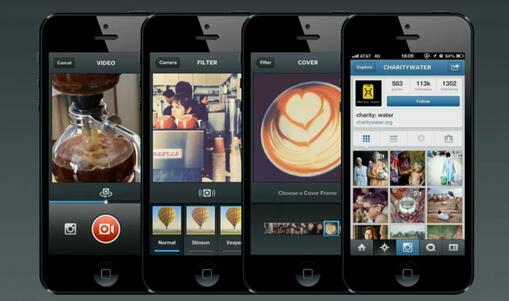 Obviously, with Video Converter, you can easily resize video for Instagram and enjoy more in sharing your moments. Beyond this solution, you can also use online Resizer to get the best video size for Instagram. 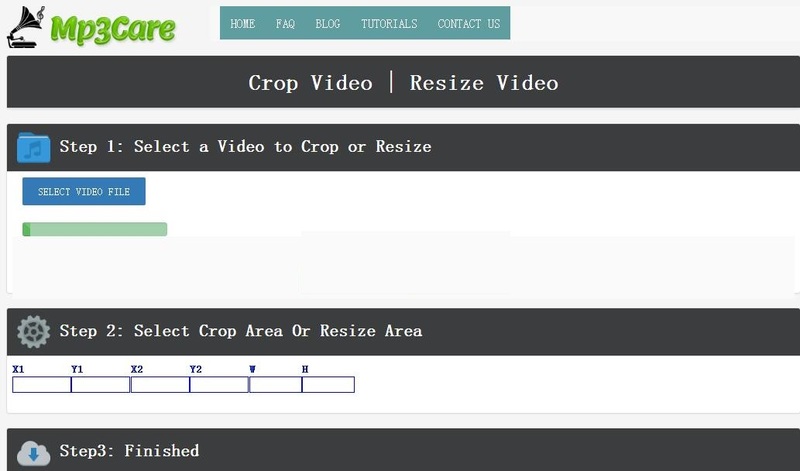 When talking about how to resize video for Instagram online, we have tried couples of online Resizers. And here recommends a powerful site called MP3care which is a free online web application that can be used to crop and resize the video. You can easily get videos for Instagram size with this online Resizer in simple steps. Step 1: Upload video. Click “Select video file” to browse and choose a video from your PC for uploading. And then you can crop and resize the needed part of the video. Step 2: Select the crop area or resize area from 6 segments. 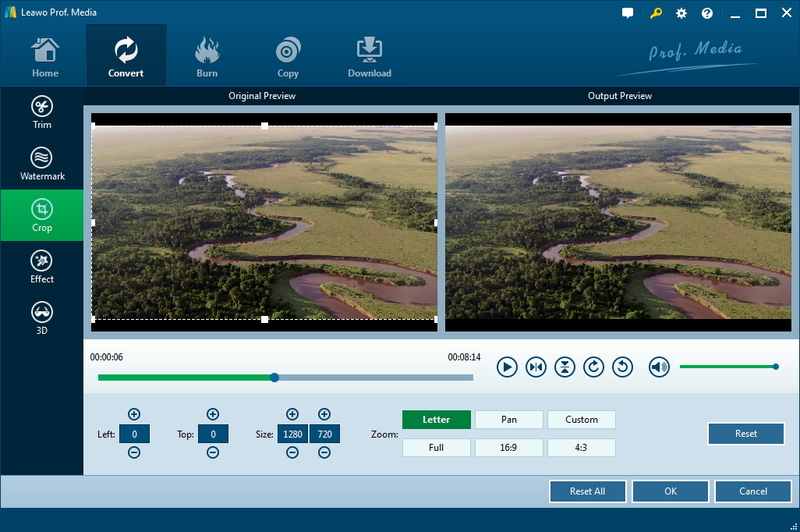 Step 3: Click “Crop video online” and finish the editing in seconds. Then you get the videos for Instagram size and you can transfer the video to your phone and upload it directly to Instagram as quickly as you like. Eventually, you can mark and share your beloved video clips on Instagram with your followers. The matters you should notice is that the online solution without installation is somewhat convenient but it can only make MP4 video format. 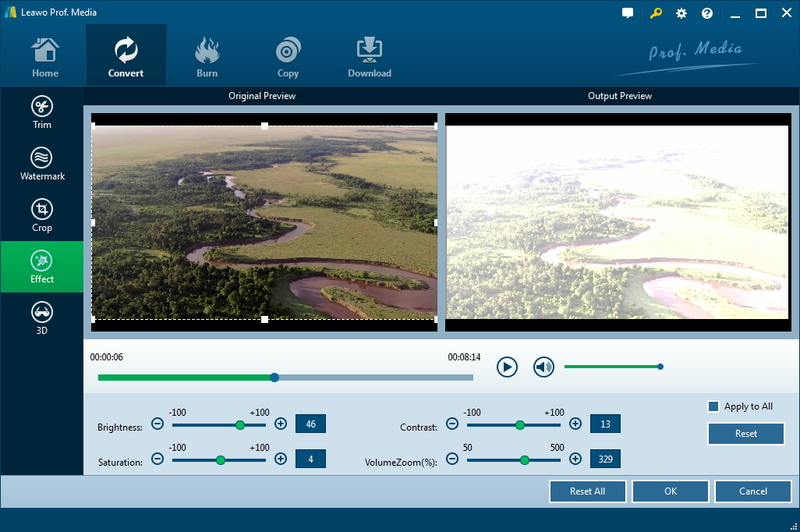 While Video Converter program offers much more choices on formats and video editing for Instagram. You can have a try at any time and never been trapped in how to make video edits for Instagram any more.